How can we know exactly when and where a seed will germinate? The simple answer is we can't. Much to the chagrin of anyone who has ever tried to grow plants from seed, there seems to be an endless amount of obstacles between deposition of seed and whether or not it will germinate. At the end of the day, it seems that the land will decide where a plant is going to grow. Because of this, the seed to seedling stage of a plants life is the first and greatest bottleneck in the patterns we see in plant communities around the world. For some plants its easy. If seed makes it to a location, the plants will grow. 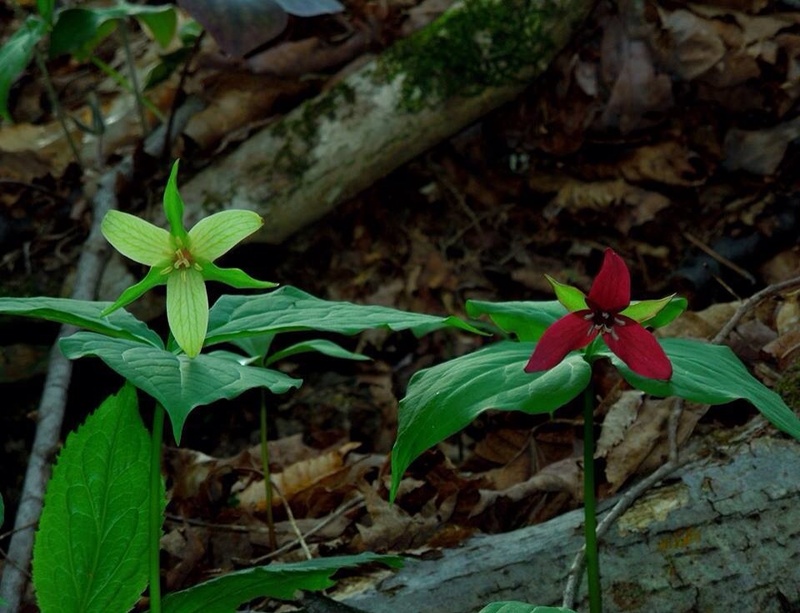 For many (and I mean many) plant species, habitat means everything. Anyone interested in growing plants must never overlook microclimates. We all know what climate means. At least we should. Just like entire regions can have their own climates, so too can different parts of the landscape. It could be that snow melt happens slower in one area, making the ground slightly more saturated. Perhaps there is a layer of clay underneath helping to hold water longer. If you are a high desert or alpine species, perhaps a small rock or boulder provides just enough protection from violent winds. It could even be a clump of moss or a shrubs that shelters a seedling long enough for it to establish itself. 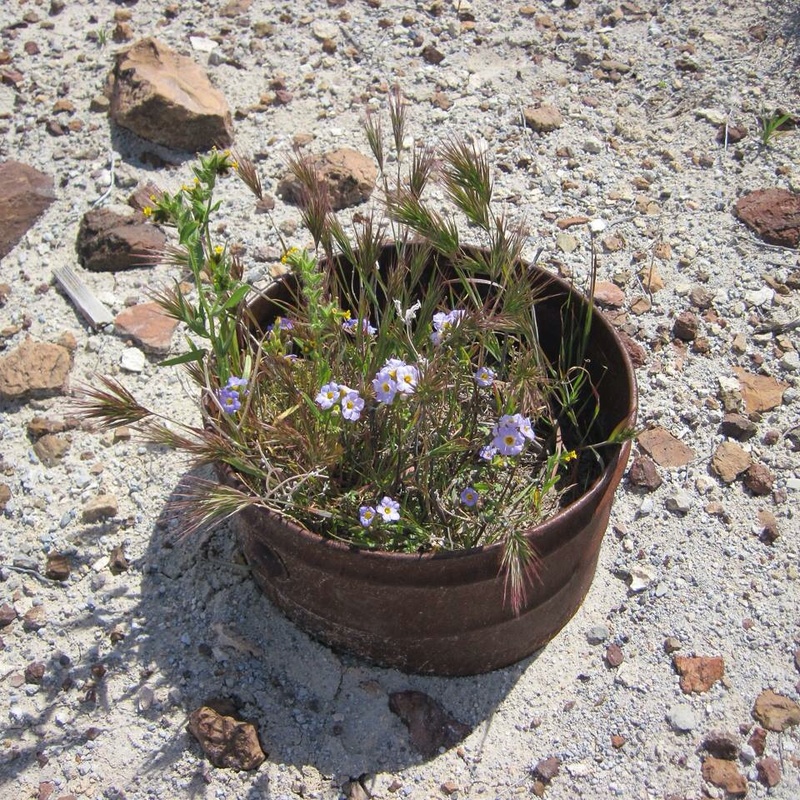 Heck, it could just as easily be a rusted out old can in the middle of the Mojave Desert. The are limitless variations on the theme but they are all too often overlooked. There are few ways of predicting what will work and what won't. On more than one occasion I have forgotten about seeds planted years ago only to have the plants suddenly appear out of nowhere. As with everything in nature, these things are dynamic. What ecology is in need of are more studies that investigate the recruitment limitations of individual or groups of species. We need ecologists speaking with restoration practitioners and vice versa. We need to keep in mind that organisms can inform theory and then some. With March (and hopefully spring) just around the corner here in the northern hemisphere, I have been thinking a lot about my garden plans. Winter is a time to get your hands on seeds. What a wonderful thing seeds are. They carry within them the genetic blueprints for building a plant. They are also the means by which most plants get around. Each seed has the potential to start a new generation somewhere else. We are well aware of the myriad ways in which plants equip their seeds for dispersal but the investment doesn't stop there. Many plant species produce seeds that maximize the likelihood of successful germination once dispersed. The ways in which this is done are as diverse as they are interesting. One of the most remarkable examples of this involves hair-like structures called awns. Awns can be bristly and thus can become tangled in the fur or feathers of an animal. Once on the ground, some awns serve a different purpose. They can be rather sensitive to humidity. This is referred to as "hygroscopic." Hygroscopic awns will begin to twist when humidity levels rise. This movement will actually drill the seed down into the soil where it can safely germinate. Many grasses as well as some geranium seeds behave in this way. Other seeds have awns or pappuses (hairs) that point backward at an angle which, once driven into the soil, prevent the seed from being pushed back out. This is especially useful when the young roots begin pushing their way down into the soil. Others have pappuses that expand and contract with humidity, placing the seed at a favorable angle for germination when moisture levels are just right. These adaptations are commonly found in species of Leontodon, Taraxacum, Sonchus, Senecio, and Erigeron. Some plants even produce seeds with hairs that become mucilaginous when wet, literally gluing them to the surrounding soil. This adaptation can be seen in Polemonium viscosum. A seed is an investment for the future. Being static organisms, plants rely on subsequent generations to maintain their presence in and migrate into new habitats. Countless seeds are produced and only a handful will ever survive to flower and repeat the process. Despite these odds, plants are nonetheless incredibly successful.